This material is adapted from: Mary Anne MacFarlane, Carol Stevenson Seller, Dawn Wood, “The History of Diaconal Ministry”, Committee on Diaconal Ministry, Division of Ministry Personnel and Education, The United Church of Canada, 1987. This was not, though, the beginning of the relationship between the universities and the Deaconess schools. 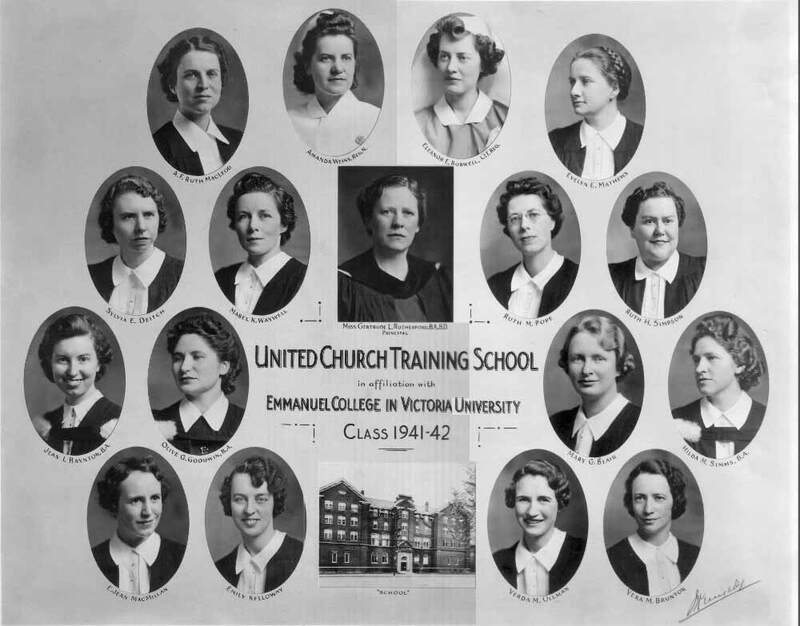 In both the Methodist and Presbyterian traditions, prior to union in 1925, professors from the Colleges (Victoria and Knox) taught some of the courses required to obtain the diploma from the Deaconess school. 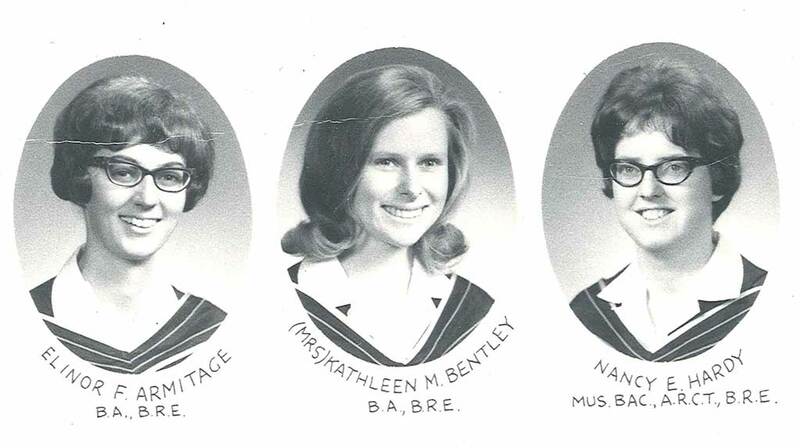 With the new affiliation agreement that pattern continued, sometimes the deaconesses students were taught separately and sometimes they were integrated into existing classes. The students also took courses at UCTS and had requirements for field work. Over the next twenty years changes in the expectations of Deaconesses, particularly in regard to their leadership in the area of religious education, lead to evaluation of the Training School curriculum. Beginning in the 1950s the school increased the number of theoretical and academic course offerings to its own curriculum. At the same time Emmanuel College was seeking approval to institute a Bachelor of Religious Education degree. In 1954 approval was given to begin “a two year post-graduate course of study intended for those who seek to specialize in some form of educational work within the Church, at home, or overseas”. The degree granted was changed several years later to a Masters Degree in Religious Education. 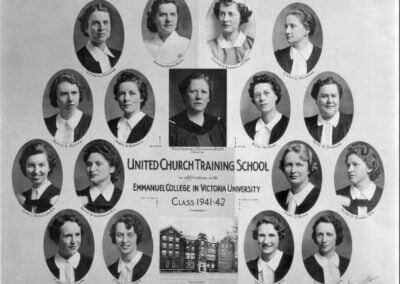 In 1959 an agreement was approved between the United Church Training School and Emmanuel College whereby the 1959-60 class of UCTS students, if they were college graduates, could enroll in the BRE program of Emmanuel and the UCTS diploma program at the same time. 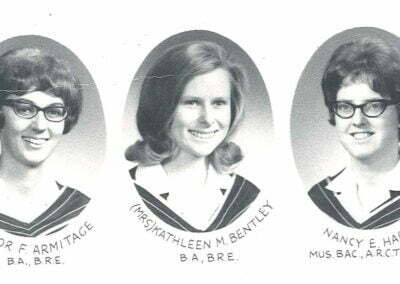 Thus, previous graduates of a university could for the first time simultaneously obtain a diploma from the Training School (and with it the right to be designated a deaconess) as well as a B.R.E. from Emmanuel College (and with it the right to do post-graduate studies in theology). When the United Church Training School (now called Covenant College) entered into union discussions with its Anglican counterpart in 1967 to form the Centre for Christian Studies, it was hoped that the academic relationship with Emmanuel College could be continued and expanded to cover Anglican students. However, changes at the time in the standards of the Association of Theological Schools, of which Emmanuel was a member, meant that the College could not accommodate the deaconess students, so the joint program was eliminated in 1968. In 1972 the United Church initiated a major study on education for Diaconal Ministry, and began to look at the possibility of partially integrating the educational programs of diaconal and ordained candidates. The committee which was constituted to conduct the study was asked to consider making the MRE (Masters of Religious Education degree) course the “normative” requirement for diaconal ministry, and to examine models of joint training with ordination candidates at Emmanuel College. It was suggested that there might be common courses provided in Biblical and Theological Education which diaconal and ordained candidates would take together, as well as separate and specialized courses for each. The committee recommended that, as far as possible, common educational experiences be provided for both ordained and·diaconal candidates. In addition, Emmanuel College’s MRE program was approved as an acceptable alternative avenue of preparation for Diaconal Ministry, but the committee recommended that it not be considered as normative. Thus, there were now two approved possibilities for educational preparation for diaconal ministry, both located on the same street in Toronto. In terms of number of students, the Centre for Christian Studies remained the main school, with relatively few choosing the MRE program. Those who did often spoke of it as a “mixed blessing”. 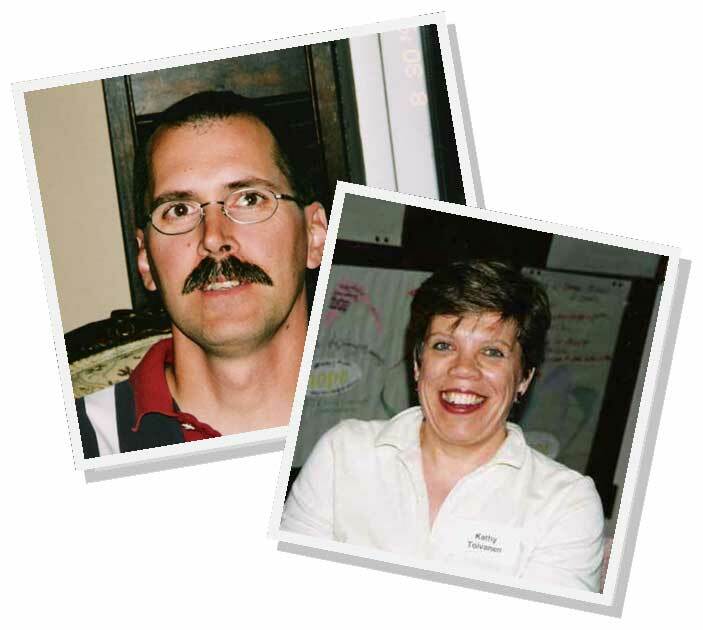 They experienced the isolation of being the only diaconal candidate in their classes, and the accompanying lack of opportunity to share concerns with others preparing for the same kind of ministry. On the positive side, Emmanuel graduates spoke with appreciation of the opportunities provided to develop working styles and an appreciation of the ordained ministry which would help in team ministry situations. The program at Emmanuel College focused on equipping people for leadership in educational or outreach ministries, as did the CCS program. It included biblical and theological studies as well as courses in Church history, worship, pastoral theology, psychology, Christian education, and involvement in Field Education. 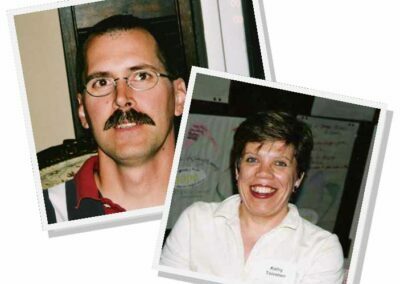 Emmanuel faculty believed that one of its greatest strengths was the integration with students for ordination. The goals and objectives of the Master of Religious Education Program included the following: the ability to reflect upon and interpret the meaning of the documents and heritage of the Judeao-Christian tradition; the ability to communicate the concerns of the Church, and understand the human situation as set forth in theology and in other disciplines; the ability to understand the assumptions and practices of education; and the ability to plan and carry out an educational ministry in many settings. For the Emmanuel program the integration of the practical and the academic was facilitated through the Church and Society course and through supervised Field Education experiences. In order to develop skills in education, all students were required to teach in a practicum and to take, during their final semester, an Advanced Seminar in Education. Styles of teaching and learning in the two year educational program include anecdotal journal writing, colloquia, forums, panel discussions, symposia, workshops, case studies and demonstrations, as well as lectures and seminars. Many elective courses enabled students to explore specific areas of interest. Recognition of the Emmanuel program as preparation for Diaconal Ministry ended when the United Church altered the requirements, expecting a minimum of 3 years of study. The MRE was only 2 years. Emmanuel College continued to offer the MRE, but the last graduate accepted for commissioning was in 1989.